You may have heard of the importance of “green space” to human health but did you know that the beach is referred to as “blue space” because spending time near water has an identifiable potential to promote human health and well-being. 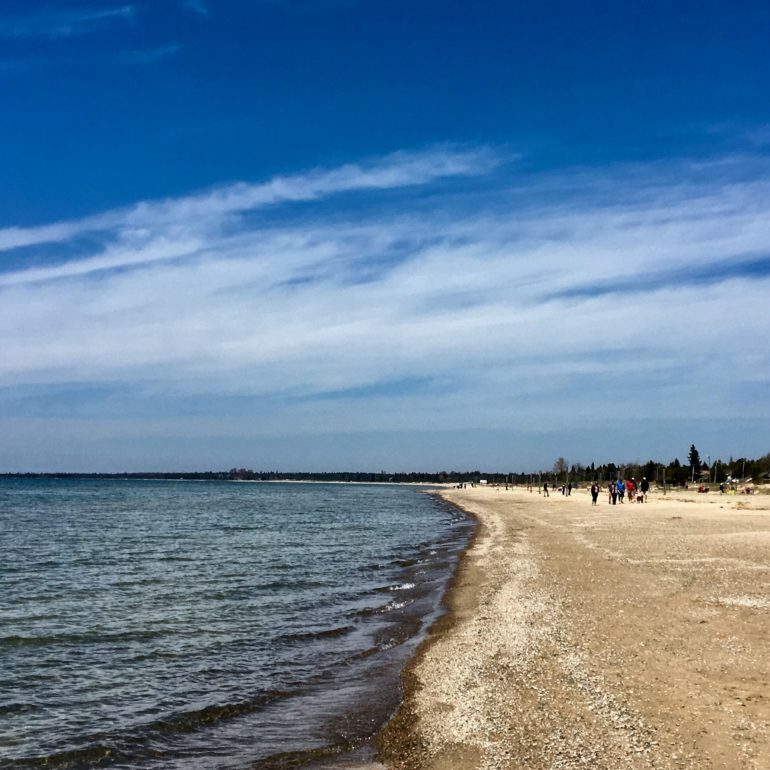 Being close to a large body of water like Lake Huron has positive health benefits because the brain reacts in a meditative way to the sights, sounds and smells of the blue space creating a soothing hypnotic state. Being at the beach relaxes and clears our minds, helps us feel at ease, and it re energizes us boosting our creativity and life energy. Outdoor light nourishes all living things, while the electronic light of our screens can diminish our well being and contentment. Outside is the real thing and not found on the light screens many of us hide and live behind everyday. Reconnect yourself to the wonder of nature and the abundance of life on earth. Go outside and experience fresh air and sunshine, increase your movement and explore the blue space. You don’t have to wait for the perfect summer day at the beach to feel the beneficial effects of being near the water. Go for a walk on the beach, along the riverbank, or around your local lake today. Make time to take in the the blue space of our beautiful region. Your mind, body and spirit will appreciate the nourishment because it’s good for the soul. Call 519.422.0443 today to make your appointment.